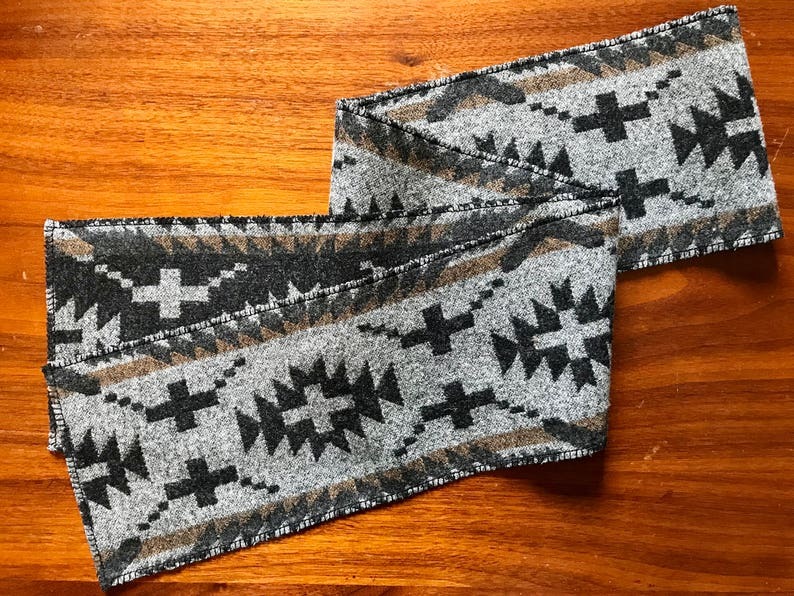 This unisex scarf is handcrafted from Pendleton® light weight Black Spider Rock fabric. This is a nice weight for warmth, but it light enough to wear as an accent piece indoors too. It is 5 3/4 inches wide and 63 inches long. The edges are finished with a machine decorative blanket stitch. Add a pin or tie it to get an infinity scarf look. Shipped on time. Lighter weight than I expected.